If you have been looking for a bankruptcy attorney you have probably noticed that bankruptcy attorneys charge different amounts. Some bankruptcy attorneys charge a little over $1,000 dollars for a chapter 7 bankruptcy while others charge well over $2,000. Why the variation? Not surprisingly, service professionals charge what others are willing to pay. Naturally, the more skilled the professional the more highly his or her services are valued by others, and the more clients will be willing to pay to receive the services. The same holds true for bankruptcy attorneys. 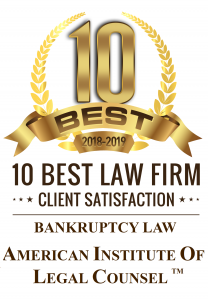 If a bankruptcy attorney is highly skilled and potential clients have knowledge of the bankruptcy attorney’s skill, potential clients will pay more to hire that bankruptcy attorney relative to the average bankruptcy attorney. In contrast, if potential clients know that an attorney is unskilled they will pay less to receive that attorney’s services. How Can I Tell Whether A Bankruptcy Attorney Is Skilled? Most clients don’t know how to compare bankruptcy attorneys and thereby make an informed decision when hiring one. Unfortunately, most bankruptcy attorneys don’t tell you what sets them apart from other attorneys. Their heavy-handed advertisements shout things like “debt relief,” “creditor harassment,” and “we can handle your case;” but don’t convey decision making criteria like how much time the attorney will spend on your case, what their fees are or why they charge more than other attorneys. Answer: Bankruptcy Attorneys Charge What Their Services Are Worth To Others. 2nd Question: How Do I Pick A Good Bankruptcy Attorney? Did the attorney say that my chapter 7 bankruptcy was not complicated? Did the attorney say that my case had some issues? What are those issues? How can these issues affect my case? Did I speak with the bankruptcy attorney or staff? Does this attorney only practice bankruptcy? Is his time divided between practice areas? From what law school did the attorney graduate from? What is that law school’s rank? Did the attorney graduate with honors? How much bankruptcy experience does the attorney have? How much debt can I discharge? What is the value in stopping this foreclosure, repossession, creditor harassment, etc.? Once you have an idea as to the complexity of your case, the attorney’s skill level, and the expected value of your bankruptcy, it is time to weigh each of these factors against the others. If your case is simple, that should weigh in favor of hiring a less skilled bankruptcy attorney with lower fees. If the attorney’s skill level is lower, perhaps you should only trust him with a simple case. If your potential discharge has a low dollar value and you have few assets, perhaps a cheaper bankruptcy attorney would be appropriate. In contrast, if your case is complex and the dollar value of your discharge is high, a skilled but expensive bankruptcy attorney may be more appropriate. Sacramento Law Group charges flat fees for chapter 7 and chapter 13 bankruptcy cases. Our flat fees are determined by the complexity of your case and designed to deliver value once your case is completed. To receive a free consultation with our bankruptcy attorney call our firm at (916) 596-1018.